Meet Conrad Veidt, Badass | Birth.Movies.Death. He dedicated his life to fighting Nazis, starred in two of the most lasting films of all time and inspired both The Joker and Jaffar. Meet Conrad Veidt. Iconography can overshadow achievement and time tends to blur the past. I’m here today to make sure neither of those happens to one of cinema’s all-time badasses, Conrad Veidt. Walter Hans Conrad Veidt was born on January 22, 1893 in Berlin, Germany. As a student, he became fascinated with the performances at the famed Deutches Theatre and in 1914, he began studying acting there under legendary director Max Reinhardt. That same year, he was drafted into the German Army and sent to the Battle of Warsaw (WWI). Veidt fell ill, was eventually deemed unfit to serve and discharged. By 1916 he was back onstage at the Deutches and by 1917 he had four films and a marriage (to cabaret performer Augusta “Gussy” Hall) under his belt. 1919 is the year Viedt really started bringing the badass. That year, he played Frederic Chopin, starred in Around the World in 80 Days and released Different From the Others, a movie with balls so brass they almost defy comprehension. 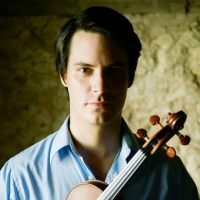 DFTO starred Veidt as a professional violinist who falls in love with one of his (adult, male) students. It’s considered the first film in the world to directly address homosexuality and gender issues. Even more remarkably, the movie is 100% sympathetic to gay people, arguing that they are completely normal and should be given every right and consideration as the rest of the public. Bear in mind; homosexuality was criminalized at this point in Germany. That was 94 years ago. In 1920, the year after Different From The Others came out, Veidt starred in Robert Weine’s The Cabinet of Dr. Caligari. Dr. Caligari was an immediate commercial and critical success and is now considered one of the greatest and most influential films of the silent era. The expressionistic sets and performances created a whole new cinematic language and the film’s twist ending is considered the first in cinema. Caligari launched Veidt to superstardom, which in turn led to his first divorce. In 1923, he married German aristocrat Felicitas Radke, with whom he had a daughter, Vera Viola Maria. In 1924, he starred in two more extremely popular (and enduring) movies, The Hands Of Orlac and Waxworks, the latter of which costarred Emil Jannings, new husband to Veidt’s first wife, Augusta Hall. In 1927, John Barrymore brought Conrad Veidt to Hollywood where he debuted as King Louis XI in The Beloved Rogue. In 1928, Veidt starred in The Man Who Laughs, which is now remembered primarily for Veidt’s character inspiring the appearance of The Joker (readily acknowledged by Batman co-creators Bill Finger & Bob Kane). Again, Veidt took a character that would normally be a villain (here, his face mutilated into a horrifying grin) and made him not only the hero but a remarkably expressive one – Veidt plays much of the role with his lower face covered, communicating a shocking range of emotions with only his eyes. The advent of talkies prompted the thickly accented Veidt to return to Germany, where he resumed his film career and divorced Felicitias, his second wife. After the divorce, Veidt spent more and more time in England, perfecting the language, starring in films like 1933’s I Was a Spy, and meeting Llona Prager, a German Jew who went by Lily. In 1933, Lily became Veidt’s third and final wife. During this time, the Nazi party was on the rise in Germany. Veidt was a passionate foe of the Nazis even before marrying a German Jew and within weeks of their marriage, they immigrated to the U.K., where they both became citizens. Veidt wrote “Jewish” on his race identity card before leaving Germany. He was detained by the Gestapo and ordered killed (due to his anti-Nazi activities) but was eventually handed over to England rather than risk an international incident. Once in England, Viedt made arrangements to have his ex-wife and child transported safely to Switzerland. He never returned to Germany. In England, Viedt continued making movies, including 1937’s Dark Journeys alongside Vivian Leigh and 1940’s Contraband. 1940 also marked Viedt’s return to America, when the movie he was working on shifted production to Hollywood following the Nazi air strikes on London. That movie was The Thief of Bagdad, another major critical and commercial success. Viedt’s performance as evil Vizier Jaffar proved particularly influential. Fifty years later, Disney would use the appearance, mannerisms and even name of Veidt’s character as the villain in 1992’s Aladdin. Veidt and Lily stayed in America and settled in Hollywood. 1941 saw Conrad partner with Humphrey Bogart on All Through the Night while 1942 brought two releases, both of which featured Veidt as Nazis. In Nazi Agent, he played identical twins – one a vicious Nazi spy and the other an expatriate. In the second movie, he plays a cold, cunning Nazi officer and the story’s central villain. The movie is Casablanca, and Veidt’s Major Strasser is considered one of the great movie villains of the ages. The obvious irony that a man like Conrad Veidt would be remembered primarily for his role as a Nazi villain makes you wonder why he would willingly take so many roles of that sort. As it happens, there’s an answer, and that answer is the final brick in Veidt’s Fortress of Badass. Before leaving the U.K. for America, Conrad Veidt signed over his life savings as an interest-free loan to the British government to help finance the war effort. Once in America, realizing he would be typecast in Nazi roles, he specified in his contract that they must always be villains. For the rest of his career, Veidt and Lily lived modestly and sent the bulk of his paychecks back to England to further the Allied Forces. Conrad Veidt died on April 3rd, 1943 of a heart attack while playing golf at the Riviera Country Club in Los Angeles with singer Arthur Fields and his personal physician, Dr. Bergman, who pronounced him dead on the scene. Veidt was 50 years old. He was survived by his wife Lily, with whom he had fled the Nazis, and his daughter with the almost impossibly lovely name, Vera Viola Maria Veidt. It’s hard to even fathom how much badassness Conrad Viedt pulled off in his relatively short lifetime. He was a rare star of both the silent and talking era of film (in two languages). He starred in the first pro-gay rights movie EVER and several of the most influential movies of all time, from The Cabinet of Dr. Caligari to Casablanca. His characters provided the inspiration for The Joker and Aladdin’s Jaffar. During the Nazis' rise to power, he married a Jew, claimed himself as Jewish and risked death to immigrate to England, to whom he loaned his entire fortune to fight the Nazis before moving to America, where he built another fortune making Nazis look bad in Hollywood movies while donating his paychecks from those roles to, yes, fighting Nazis. This day and age, it’s difficult to imagine the world that Conrad Veidt moved through, and it’s impossible to know how we, or the stars of our era, would have behaved had we been there alongside him. What we do know is that Veidt left us with an unforgettable body of work and a life that exemplified creative and personal bravery and the overall awesomeness that defines a badass. Jerry Ochoa is a musician and filmmaker in Houston TX. When not composing and performing with Two Star Symphony and Come See My Dead Person, he works in video production and makes music videos, short films, one feature (so far) and award-winning Vines. Yes damnit, Vines. Follow at your peril on Twitter and Vine: @jerryochoa. We can see where he's coming from here. Hug your children. Tell your families you love them. Time is short.